How has Elon Musk spread his wealth among his family members? A look at his younger sister Tosca Musk’s net worth may shed light on that question. But focusing only on Tosca’s finances provides an incomplete picture of her accomplishments. Tosca’s net worth has been estimated as high as $169.4 million, which is only a modest figure if your last name is Musk — Elon has a net worth of $20.8 billion. Although her fortune comes to her through her family, she has put her money into her passions and forged her own path. Although Tosca worked at Zip2 (the company founded by her brothers, the acquisition of which launched their fortune), she quickly left after the company was acquired to actively pursue a filmmaking career. Prior to her tech career, Tosca studied filmmaking at the University of British Columbia and completed her final undergraduate film (an ambitious dramatization of the 1976 anti-apartheid Soweto riots) in her home country of South Africa. Her first film-related project, Tiki Bar TV, fused her family’s aptitude for technological innovation with her own passion for hands-on filmmaking. Tiki Bar TV was the first-ever video podcast, for which Musk served as producer and darn near everything else, down to building the set for the show in her own home and hand-painting numerous props for each episode. Musk continued to actively write, produce, and direct numerous features in diverse genres, including the highly successful tele-film Holiday Engagement, which set a record as the most-watched movie on the Hallmark cable network. Many of her passions come together in the appropriately-named Passionflix, which began operating last year. She raised $4.75 million to fund the company — with angel investments from her brother Kimbal Musk (who has an estimated net worth of $672 million), Jason Calacanis, Bill Lee and Norman Lear. Passionflix aims at an audience looking for classic and new movies featuring relatable female protagonists. For $5.99 a month, viewers can enjoy a specially-curated selection of romantic movies, as well as original material created by Tosca herself and a growing slate of female filmmakers. Some may balk that most of the company’s original offerings are adaptations of popular romance novels, but Tosca is simply working to fill the demands of a specific and growing audience. Her efforts to boost feminine representation both on-screen and behind the camera (in a year where only 3% of major studio movies will be directed by women) are downright laudable. Tosca remains busy and shows no sign of slowing down. As the face of her own brand, she is strong and committed — in a word, genuine. And as she shares in her family’s considerable fortunes, she also happily appears to share in their eccentricities as well, enabling us to post the picture of a sincere female filmmaker brandishing a flamethrower. Verizon has seemingly dominated the world of wireless. However, through Verizon Fios, the company is also making strides in dominating other technology services in the household as well. Bundle up all of your services through Verizon: wireless service, home phone, television and Internet, and it isn’t as expensive as you think it is. Verizon, while a reliable company, has also had a growing reputation as being kind of expensive. However, Fios is not as expensive as you think it is. Actually, the services are comparable to some of the go-to companies for cheaper services. If you order any of these promotions online, you will be able to receive the limited-time deal of receiving setup for free. You can also get any of these deals with no commitment. 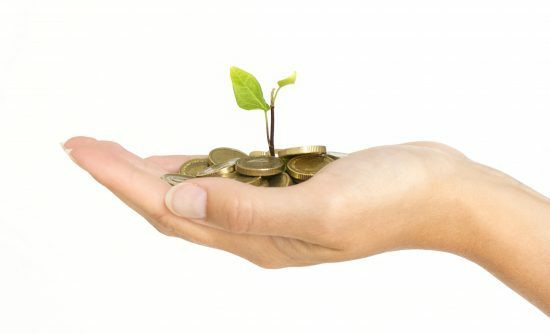 Of course, committing to a year or two years will (in some cases) save you some money. However, in the case of the Verizon Fios Triple Play, you can still receive the services for $69.99/month but you will not receive the $300 Prepaid Visa. You should also note that most of these promotional prices require one to two years of a contract with the company. If the pricing is for a two-year contract, the price is subject to raise after one year. Each of the Verizon Fios promotions have the option for “Custom TV.” This means that you get to choose some of your channels, which is great because who watches ALL of the channels? You can also get HBO, Showtime and other movie channels for the first six months of your contract in most cases. If you are an existing Verizon customer, you can use these Fios promotions to your advantage. If you see a promotion that you think you could benefit from, you can call Verizon and talk to them about switching your current plan OR haggling for a new price. Last but not least, you are probably wondering what people have to say about the Verizon Fios services. Verizon is one of the most reliable companies in the nation, however, what are consumers saying about the Fios services? As far as the actual TV/Internet/Phone, consumers absolutely love Fios. It seems, however, that people enjoy Verizon Fios until they have to give customer service a phone call. In just about every review of the company’s services people praised the quality of the television, Internet and phone but (almost) all of them have something bad to say about customer service. Before you make any decision about Verizon (or any other company), be sure to compare pricing across the board. Of course, bundles can be convenient, but they can also be more expensive in some cases. Be sure to always compare. 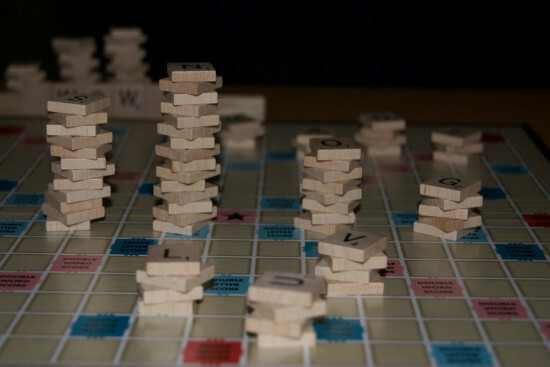 Scrabble board politics are set to become a whole lot juicier with the introduction of 5000 new words to the fifth addition of Merriam-Webster’s The Official Scrabble Players Dictionary . The book, which is widely considered the Scrabble bible, has been around for 35 years and issued its last edition in 2005, 11 years ago. But with the speed of modern language growth they’ve decided it’s about time for an update. Even better news for Scrabble fans is the addition of more two-letter words like “te.” When a game gets into its advanced stages, every square counts. So being able to use two letter-linking words is vital in the tense race to clear your tile board. Ultimately the new word additions will create a more complex game. There will be more word options to use, more ways to use them and livelier discussion around each play. Scrabble old-timers say the last update, which included words like “qi” and “za,” entirely changed the face of the game. Stefan Fatsis, a scrabble expert said, “Each subsequent edition of the book, it makes the game richer.” He’s the author of Word Freak: Heartbreak, Triumph, Genius, and Obsession in the World of Competitive Scrabble Players and knows all to well the dynamics involved when the rules change in a 76 year-old game. Conflict and criticism aside, it’s important to remember that Scrabble remains a game for all ages. It’s one of the few games that every generation in the family can enjoy together. New additions are inevitable and should be welcomed by amateurs and professionals alike. There are a lot of benefits to these types of games and they can even help teach you about money. New words mean new opportunities to score and more paths to Scrabble glory. So we’ve got a few little words for all the Scrabble purists out there. Just chillax! There’s no need to buzzkill, it’s just a game people. Everything’s going to be quite alright.